Wandisile Mandlana is a partner in our Johannesburg office Corporate Department. He specialises in environmental law, mining law, energy and climate change law and other areas of public law including public procurement law, administrative law and constitutional law. He has worked as an academic, in-house legal counsel and a practising attorney in various aspects of public law. Wandisile’s clients are from both the public and private sectors and he also advises a number of clients pro bono. 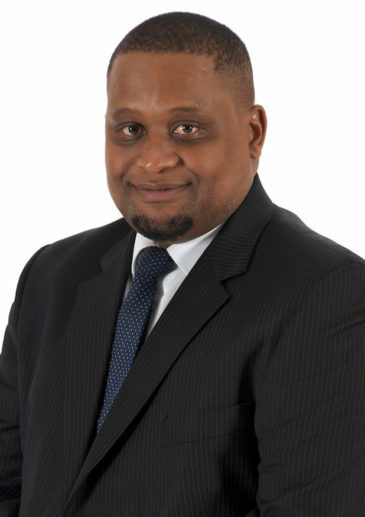 He has B.Juris and LLB degrees from the University of Fort Hare and an LLM from the University of KwaZulu-Natal. Wandisile has solid experience advising mining houses and suppliers to the mining industry. His experience includes advising on mining titles, disputes relating to issuing of mineral rights, disputes regarding overlapping and renewal of mineral rights, transfer of mining rights, environmental management in the mining context, water licenses, land use planning and environmental impact assessments. Wandisile also specialises in various areas of Public Law (e.g. Public Procurement Law; Administrative Law and Constitutional Law). Advising on mining regulatory aspects of the transaction in which two black-owned/controlled mining companies combined their interests in order to create a new black-controlled natural resources and industrial holding group. Advising various Anglo American plc South African companies (or business units) on various Mining and Environmental Law matters. Conducting a significant amount of due diligence exercises in respect of environmental and other regulatory compliance issues in a range of sectors including mining, industrial, commercial property and linear developments. These exercises generally form a key part of an M&A deal process and our findings focus on the risks that may arise in the deal context. Advising international and local clients on various government tender processes including application of the Supplier Development programmes and Local content programmes. Part of the Bowmans’ team which is advising the South African National Treasury and the Department of Energy on various aspects of the independent power producer procurement programmes currently underway. Part of the team which successfully acted for the City of Johannesburg and Johannesburg Water, the water utility of the City of Johannesburg in defending a precedent setting constitutional challenge to prepayment meters and the amount of free water given to residents, this was the matter Mazibuko and others v City of Johannesburg and others .